Lola, a CPR Alum, crossed over the Rainbow Bridge. Her sister and fellow CPR alum, Noni will miss her and will be receiving all the love in the world from her mom & dad. 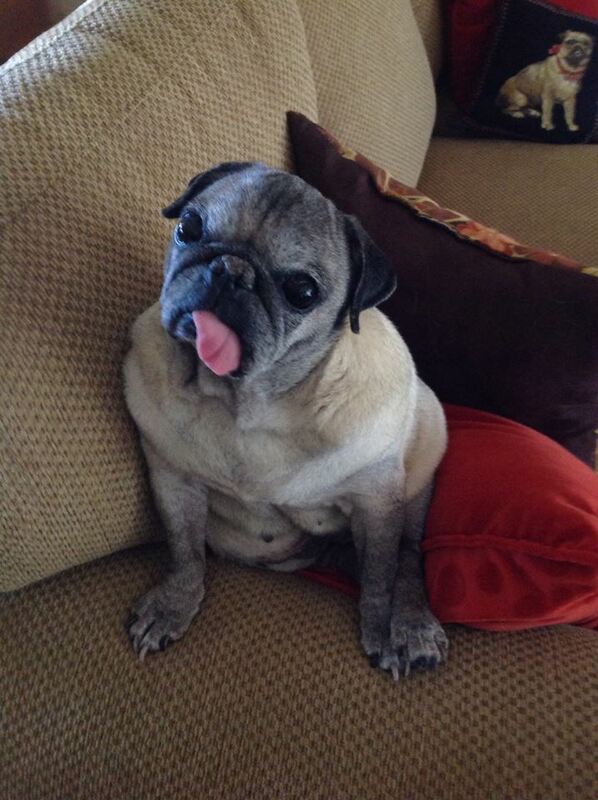 Like so many pugs who make their way to CPR, Lola was older and needed some tender loving care. She received that and so much more from Geri & Lew. From Lola’s mom: She was the most loving, special little girl, perfect for us. The 3 & 1/2 years we had her just was not enough. Pug hugs to your family from all of us at CPR.